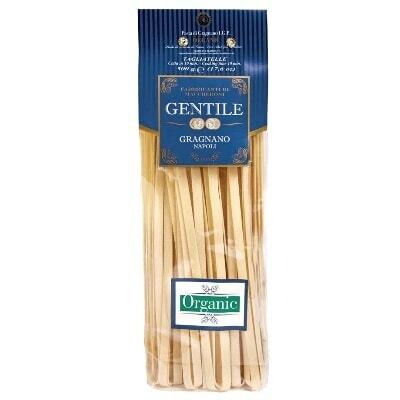 This bag of delectable flat ribbon pasta is Tagliatelle from Gentile, in the Campania region. Each pasta measuring about 0.37 inches wide, it’s perfect for any of your favorite sauces. Among the most popular sauces for it is some scrumptious ragu alla bolognese. You can also serve it with sauces that has pork or beef, or even chicken. A batch of marinara sauce would also go nicely with it. And if you want to be reminded of the sea, you may also make Pasta Pescatore with it. And make sure to add your favorite shellfish and other seafood in it. Sounds delicious? Well, get a bag now and try it for yourself!